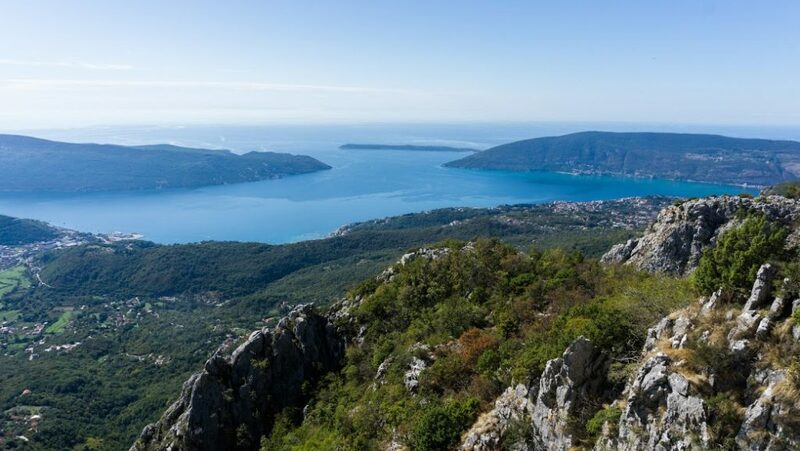 So you happen to be in Herceg Novi, Montenegro, and you want to go hiking. If you’re serious about your intentions, go up to mountain hut “Za Vratlom” in Orjen massif, where you’ll find lots of well marked hikes. To get there, simply follow the red marks heading up from the bus station. The marks start on a road side closer to the mountains and lead all the way up to Za Vratlom, from where you can, for example, continue to Subra (1,679 m). A good idea is to take a taxi up there because the trail goes up very slowly, crossing main roads many times. Ask a taxi driver to take you up as much as he can, but at least to a crossroad called “Orjen Boriči or “Hotel Boriči”, which is reached by a regular asphalt road. Check this on Google Street View or simply put 42.492898N, 18.546153E to your GPS. This hiking guide contains all the essential hikes and maps you’ll need. If you’re, let’s say, less serious about your plan, or you just wanna go for a baby hike or a longer walk, explore the surroundings of Herceg Novi. I have a few tips for where to go. I spent a month in Herceg Novi and this is what I’ve come up with after a lot of exploration of the surrounding areas. The description and maps below always start at a bus station which is easily reachable and where you’re most likely going to start. From the bus station, follow the red marks heading along the road for a bit and then up to a hilly suburb. The marks follow Srbina St which soon turns into Ustanička St. The street eventually turns into a stony path and after you pass Matkovića most (most means bridge) the trail enters a forest. At Zelenac, which is a place with a water spring, turn left to Cakotin hill. Once you get over the hill, you come to another crossroad. Red markings head right towards the main road, but go down instead. The trail is now not marked, but easily visible. Keep going down until you come to a village, Trebesinj. At the main road, turn right. Pass a church and in 200m, after a sharp right turn of the road, start following a trail on your left. It’s quite straightforward, even though unmarked. The trail goes through terraces with old ruins and is generally very pleasant. When you come to a water source, turn left and start descending from Sušćepan towards Igalo / Herceg Novi. Simply follow the road signs. 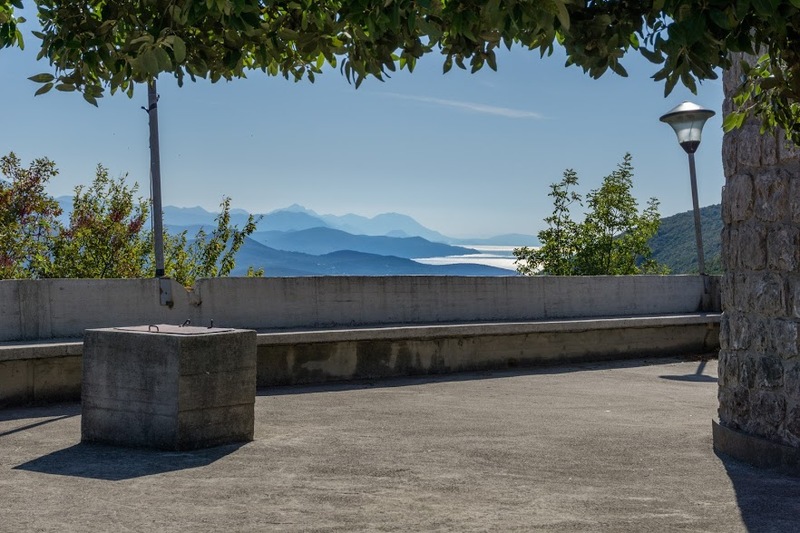 Even though it’s a road, it’s not busy and it offers a nice explorative journey through Herceg Novi’s surroundings. Once you get to the sea, simply go left all the way to the castle where the bus station is. Kameno is a recreational area north of Herceg Novi. It’s a nice spot for mountain bikers but there are quite a few hikes too. 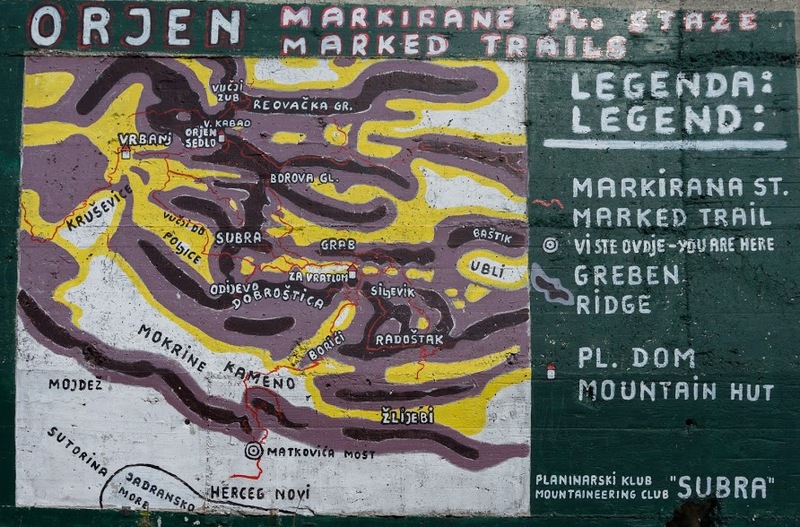 It’s on the way to Orjen massif so to get there, follow the red marked trail from the bus station (see hike #1). 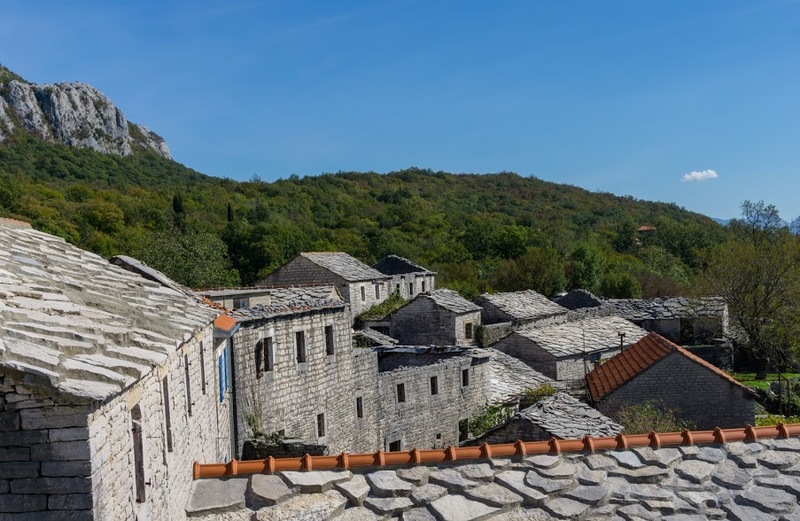 The trails up in Kameno are well marked with the opportunity to visit the ruins of fortress Tajno Brdo or ruins at the tops of Šilobod, Gručalica or Đevojačke grede. It’s well marked and easy to follow and most of the time you walk on roads. From the bus station, get down to the sea. There is a long promenade going along the water. Go west towards Igalo, or simply towards a steep forested ridge you can see on the other side of a bay. Walk on an asphalt pathway as close to the beach as possible and when the pathway ends, stay on the beach. When you come to a café, turn right onto a road and then left, still heading towards a hill. Keep straight ahead to some gentle steps. Cross a main road and head up the steps going left, straight up the hill. 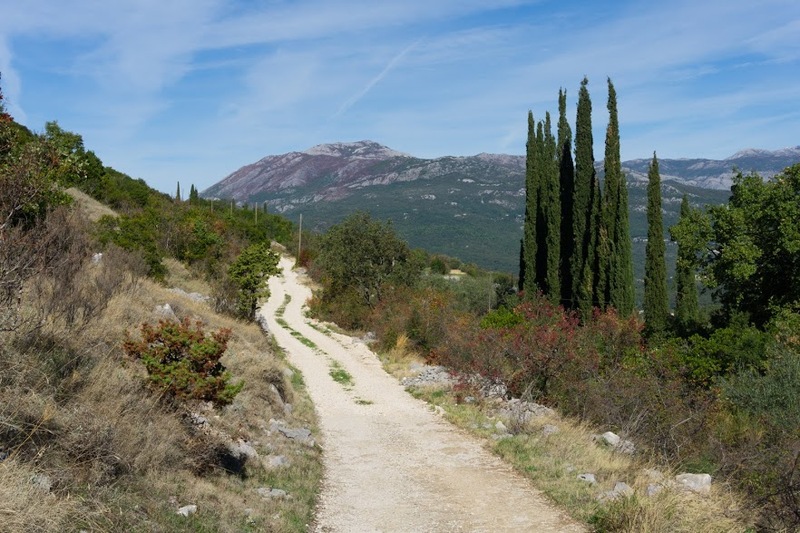 You’ll soon be walking on a stony path flanked by juniper trees on a steep karst slope. The path is not marked but easily visible and quite straight-forward. Keep going up and when you see the first inhabited house and the path starts turning into an asphalt road, turn right on a wide path alongside a paddock. You walk now on the edges of terraces with lots of olive trees around. Once you come to a road, turn right. Pass a local restaurant and at the crossroad with the sign to Sveti Ilja, go left. Keep following a zig-zagging road. Close to the top there is a sign pointing right. Follow it, it’s a shortcut to the top which saves you a few hundred metres. You should go back the same way as the other paths on the hill sooner or later become overgrown with spiky junipers and blackberries. From the bus station, follow the red marks heading up. After you pass a sign to Tvrđava Španjola (lit. Spanish fort), turn right on a unobtrusive road heading down towards a power station. 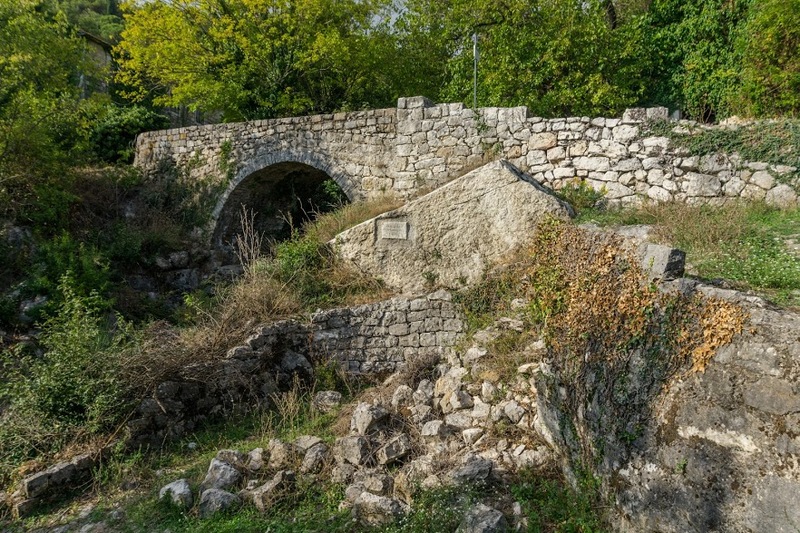 Keep following the bendy old road until you reach the main road called Trebinje Herceg Novi. Turn left onto the main road. The road then does a U-turn. Immediately after the U-turn, take a sharp right onto a steep concrete road heading uphill. At the end of the concrete road you’ll find a water tap on your left and stony steps heading up. Take the steps up and keep following a stony trail until you reach a small road. Keep going straight and in about 500m, turn left where the power lines go. There are occasional marks now which help you to follow the trail. There is an impressive 400m climb up ahead. It offers fantastic views over the Bay of Kotor. Even though the trail goes through a forest, the trees are not tall enough to provide enough shade. That together with the slope facing south means that it can get really, really hot. Be ready for it. Once you get to the ridge, you come to a road. Go right and you come to Žlijebi, a small village entirely built by stone pallets. If you keep following the road for another 20 minutes, you come to Sveti Nikola, a stone church with amazing views over the bay. You can either go back the same way, or to follow the road to Kameno (see hike n2). 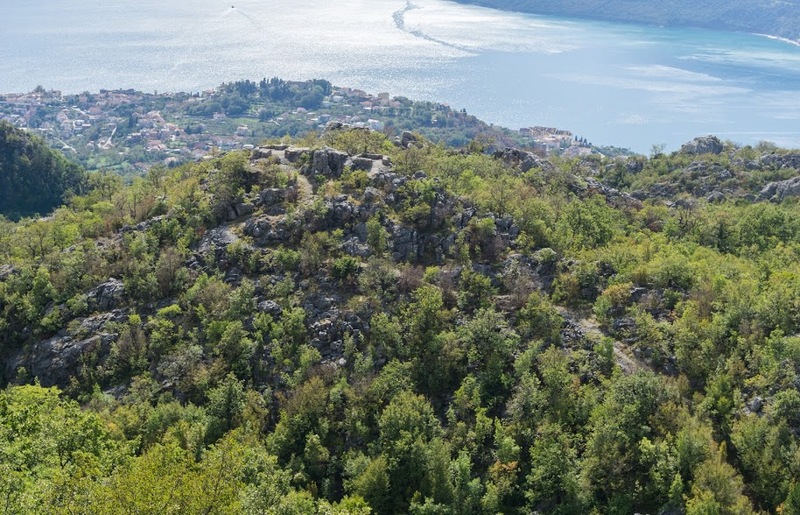 2 Comments on "Best hikes around Herceg Novi, Montenegro"